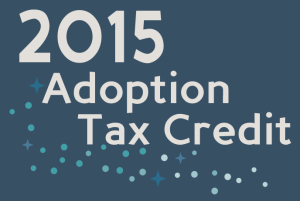 2015 Adoption Tax Credit Info: How does it work? Last month, the IRS released updated figures for the 2015 Adoption Tax Credit. 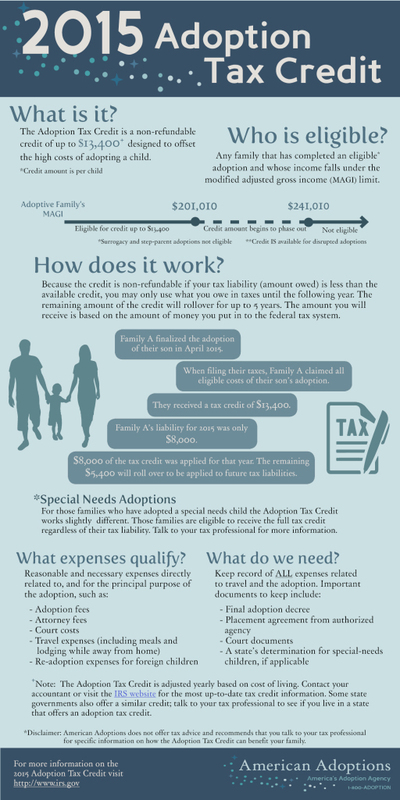 Below we have provided a brief explanation of the Adoption Tax Credit, the updated amount available to families for the 2015 tax season, and an infographic to help families understand how the Adoption Tax Credit works. The Federal Adoption Tax Credit can help families offset the costs of qualifying adoption expenses, making adoption possible for some families who could not otherwise afford it. Families who adopted a child, or tried to adopt a child, and paid qualifying expenses may be eligible for the credit. With the passage of the American Taxpayer Relief Act of 2012 the Adoption Tax Credit became a permanent part of the tax code. However, the tax credit is not refundable, which means that only those individuals with tax liability (taxes owed) will benefit. 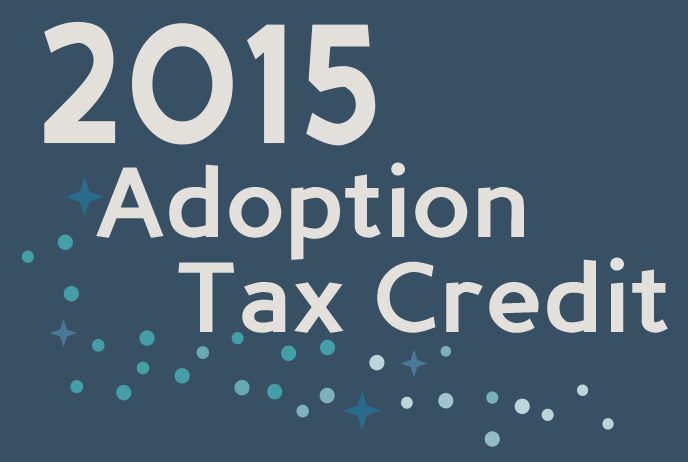 The maximum adoption tax credit for 2015 is $13,400. The Adoption Tax Credit limit is based on modified adjusted gross income (MAGI) and is recalculated each year based on current cost of living. For the 2015 Adoption Tax Credit, the maximum amount available will begin to phase out for families with MAGI above $201,010 and will be unavailable to families with incomes around $242,010 or above. For more information on the adoption tax credit and exclusion, read 2015 Adoption Tax Credit or visit www.irs.gov. American Adoptions recommends that you contact a local accountant or qualified tax professional for more specific information for your family. Visit our Adoption Costs section for other ideas for paying for adoption, or read how American Adoptions helps you adopt within your budget. You can also speak with an Adoption Specialist at 1-800-ADOPTION with any questions about cost and financing.